Completely wooded with a great mix of maple, cherry, oak, hickory, ash, beech, hemlock and much more. There is timber throughout the property in various areas as well as younger pole stage timber stands, some brushy cover, and a nice scattering of natural open areas that would make great food plot locations. Trails are evident throughout. The variety of drainages and water sources on the property also creates numerous âpinch pointsâ for harvesting or photographing some of the best bucks on the property. Turkey sign is abundant too, especially around the openings and spring seeps where they feed and nearby in the bigger hemlock, oaks and maple where they roost. 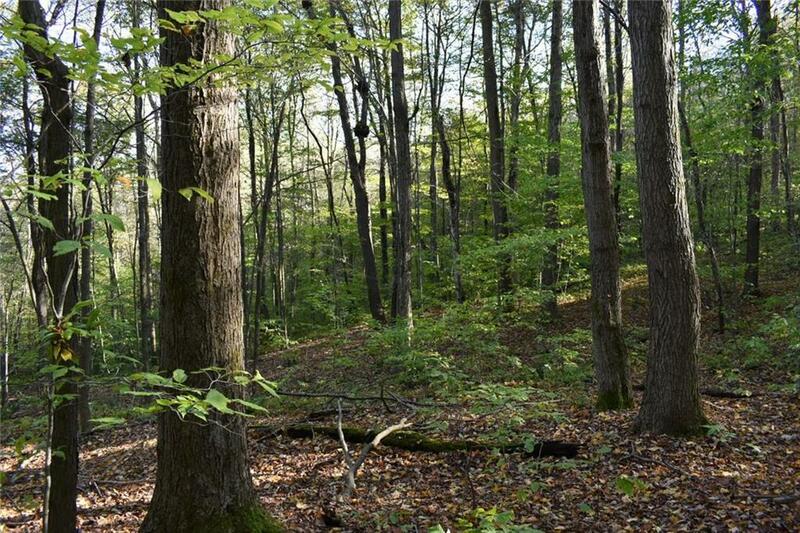 The property directly adjoins NYS Land on over 1,300 feet of the east property boundary. Directions To Property: Frew Run To Wheeler Hill, Turn Left At Fork To Stay On Wheeler Hill, Continue Straight Ahead And Road Name Changes To Bragg. Open Gate With Stone Pillars On Each Side Marked “private Road”. Enter And Property Will Be On The Left.